I hope with all my heart all of you are reading my letters aloud with British Voices, seeing as I cannot use actual stinking combo words like I"m because the dumb Spanish language does not combine words. JK I love Spanish it is so PHHRECious to me. But seriously.,come on. I know all the weeks of my mission are going to be crazy because I am trying to do the job of Alma and Amulek This week was especially crazy becuase right after our PDay we got invited to a funeral for Bishop"s father. Spirits were low, sining was super off key (as usual), and the food was really ghood. Kinda likle a Ron Swanson party. Then Tuesday I had an intercambio with the feirce and goregous Her. Zarate in Grosio Prado. Their apartment is actually really good despite having no water, and I had alot of fun looking at all of the coutryish things in Chincha. Our side of Chincha, Pueblo Neuvo has a party going on like every single night with off key music and weird smells. But Grosio Prado is silent except for the many dogs. But Her. Zarate loves dogs so much, I think even more than Abby. Seriously, she names all of them and feed them bread. Every one of them, Happy, Jorge, Juevo, have a special guarding job for her and her companion Hermana Alonso. I would love to have that except I think the only dog that actually likes me here is Hermana Patty"s Max. He looks just like Doug except pretty sad. Abby would love to meet him though. I bet they would exchange pleasantries. Also Tigre, the kitten outside our apartment would be a cood companion for her. He is kinds like our guard kitten, I guess. On Wednesday and Thursday me and Rivera went to Lima for my ID, and now I am a real Peruanna! Cept I actually smile in my pictures, and no other real person in Peru does. They are all sincerely happy, but are trying to look real sophistocated. Like Nicole Kidman and Jennifer Aniston. When we had a B Day party to celebrate Dara turning 15, we all took picutres, and every single one of those kids did a funky reserved smile. It is hilarious. But now back to my adventure in Lima! I got to spend the whole day with Wilks and Paramore cuz they gotzta be legal too, and we had fun waiting in line, being repramanded by officials for our lack of fluent Spanish, and chatting like old pals. We really are actually growing into missionaries even if we don"t think it, with Paramore in Ica, me in Chincha, and Wilks in Chorrillos. It was a relief to explain stories and concerns in English because we really are all experiencing the same homesickness, lack of fiber, and confusing language barriers. And, we all three met a family that spoke English to us! Thay are from the U.S. but the mama was born in Guatemala and they decided to more to Arequipa, Peru. Not in our mission. That was kinda a bummer, but still they are great, and will hear the gospel from other missionaries there. After we all left together, me, Paramore, and Wilks were thinking about how we could have worked with them in our own languages, but also, I still don"t think it would have been perfect. 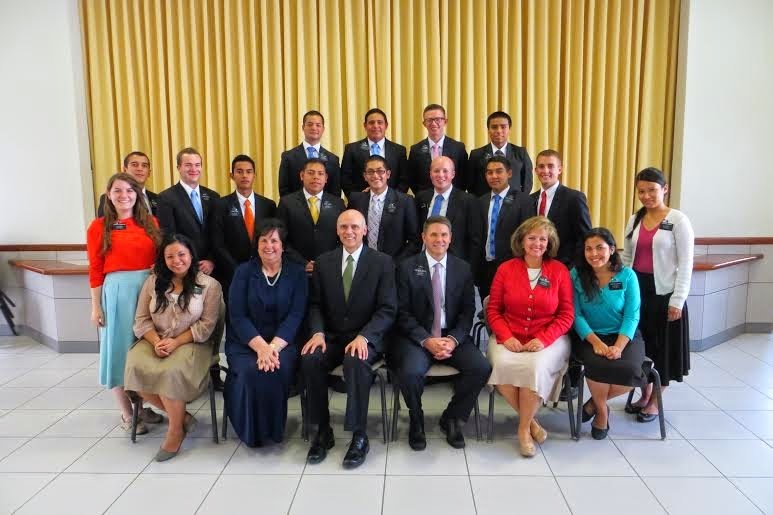 If we all were meant to be serving in the U.S. or England or Canada or wherever they are gringos, that would be our mission call, but it really is not. That was also the theme of my talk in church this week. I am totally sure I butuchered my messagewith baby grammar, but I still felt pretty confident in myself. And now to the investigators! next week. 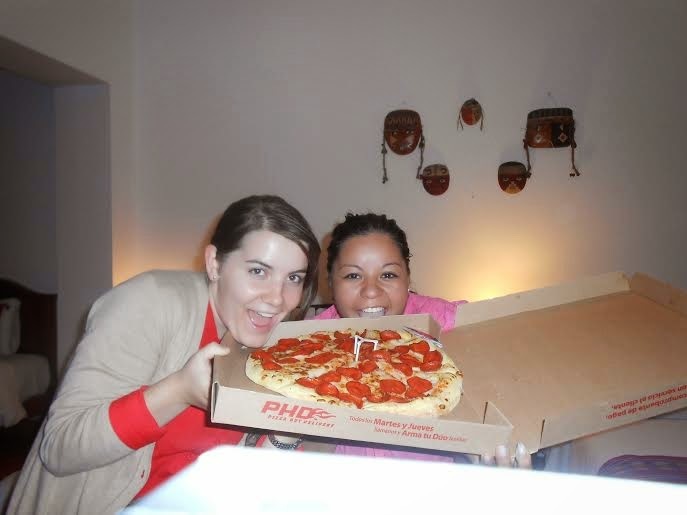 sorry I am a horrible missionary for not talking about them, but we have a baptism this weekend with Dara and Fabiana! more news on it next week. I love all of ya"ll soo much! I think this picture is explanatory. 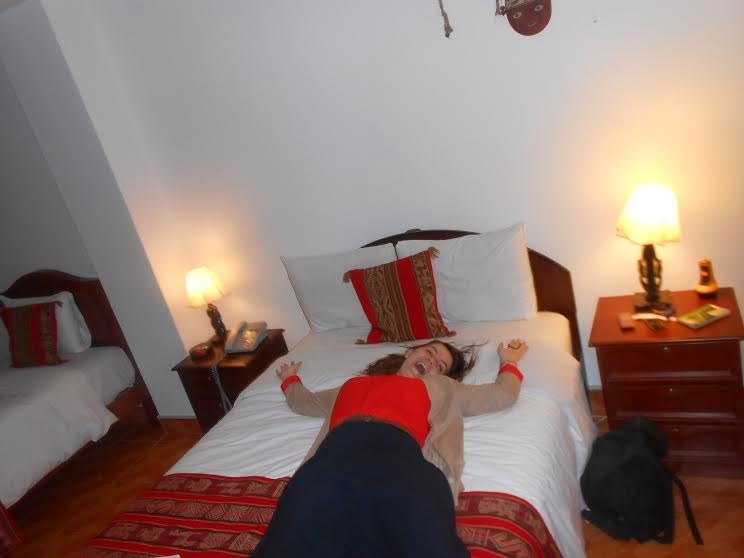 This was the time I had the BEST sleep ever in Lima, Peru. This whole week Hma. Rivera and I have been practicing different accents. She"s had like 5 different gringas both as trainers and co companeras, and is the funniest when it comes to mimiking them with love. The sound is kinda like when you hear an older Texan lady trying to order a meal in at Rosas. Pretty great. And this week I had an intercambio with Hma. Saenz and Hma. Chavez in Pisco, the land of eternal hills! That city is great because you can hike and actually look past all the trash to see the ocean off in the distance, but I was sweating so hard afterwards I had the feeling to take a siesta. I am more of a plain lover myself. I was built for comfort and not for speed. But I still loved being with those girls. Intercambios during your mission are like the equivalent of havin a sleepover. And you really get top meet different people and actually realize you were not as bad at teaching as you thought. Sometimes being with Her. Rivera all day is hard because I hold myself up to her standard. She is a latina in her last few weeks and is really pushin it to have more lessons, more baptisms, more everything. And then I think, I have to roll my r"s like her, or I have to smile every moment of the day, or I have tp understand all those gospel questions. But then I see these other Hermana who are doing just fine with a different way of teaching, and still forget some phrases, even though they already knew the language a little before. Or they see a little boy and forget they cannot greet him with a kiss the way they do with all the other Hermanas. They are making mistakes like me and are laughing they whole time. If I have anything to learn from them. its that I can actually do this funky thing called a mission because I am meant to be here. Much of the time I think, "This would be so much easier in English," or "I could actually be healthier if I were in a place that had more beans and less rice." (Mama ref.) But for some reason, God wants me here in Chincha speaking a language I did not know before about people"s flippin salvation. That is pretty crazy if you think about it. If I have any advice to give to missionaries serving, preemies (you know who you are), or any person that is about to do something really hard, its this: You are meant to be where you are, doing what you are doing, speaking whatever language you are speaking, because God has trust in you. The most powerful and handome being that ever was has trust in you. That is why you are here. I wish I had more time to write to everybody, but I want you all to know how much I love you and care about you. And I know you can do anything. 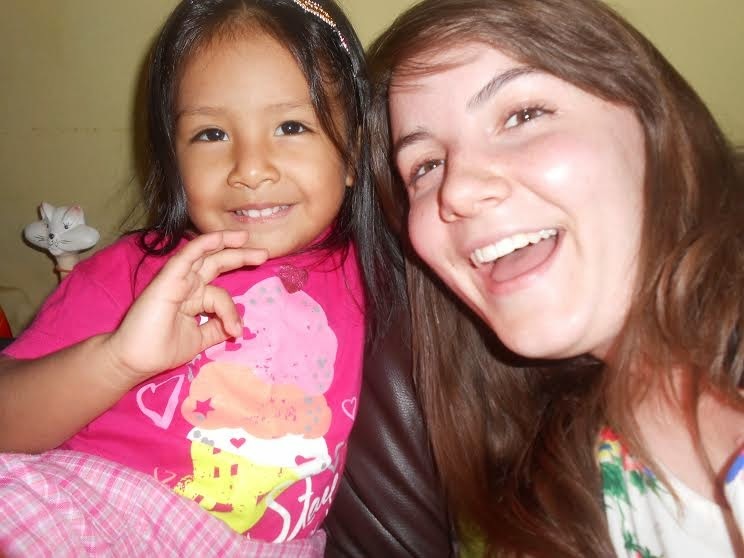 This is Luana Sonalie, the sweetest and cutest lil Peruvian babies ever. Their Dad is Obispo Cordova. This is a photo of us at a multizone conference in Ica, the one with Elder Grow. I love it because my hair kinda looks half normal in this one. Plus I"m matching Hma. Douglas, which is my ultimate goal since shes is a total BABE. Like the rest of ya"ll, of course.